One of the easiest ways to get funding is through a loan against fixed deposit, which can be acquired even by people without a credit score. How do Banks Provide Loans Against FDS? A bank issues a loan against FD by considering the deposited amount as collateral. This loan is considered as an overdraft or demand loan. Therefore, it is given in the form of an overdraft. The interest rate on this loan type is much less than a traditional loan interest rate. The interest rate charged on loan against FD is around 2-3%, whereas the interest rate on other loan types is around 6-8%. The banks require only FD receipt and loan application form for completing the loan procedure. Therefore, the application process is fast and hassle-free compared to any traditional loan. Lower interest rate: For availing a loan using your FD, you are liable to pay a much lesser rate of interest. So, this loan costs you cheaper than any other loan. No processing fee: There will be no processing charges or fees for availing a loan against FD. Hassle-free application procedure: For applying for this loan, the procedure is very simple, easy and can be done with very less documentation. It is even sanctioned faster than any other loan, as the collateral amount has already been deposited in your bank. There is no need to break your FD for applying for this loan. Both Fixed Deposits (FD) as well as Savings Accounts are always safe and stable to save your surplus funds. But when it comes to the growth and flexibility it is ideal to go for FDs rather than savings accounts. Let’s see here about FD vs savings account. It is always lucrative to invest in FDs rather than leave it in the savings account all your hard earned surplus money. In savings account you will only get 4% of interest whereas in FDs you will get 8.75% of interest. At the time of maturity, FDs come with assured returns. There is no such possibility in the case of savings account. Your surplus funds can be saved for a long term but at the same time it grows. However, it is not the case with your savings account. You can have any number of FDs but it is not possible in the case of savings account. At times of emergency, FDs come to your rescue. No risk of market fluctuations. For senior citizens, higher interest rates are offered in case of FDs. From FD, you will get periodic interest pay-outs i.e. you can plan your interest withdrawal according to your needs. No such option for savings account. FD promotes the healthy habit of savings as there is no unnecessary withdrawal of money involved unlike in the case of savings account. FD can be tailored to your needs. It can be linked with your savings account and becomes flexi deposit. There are also cumulative and non-cumulative FDs available. All these are not possible with a savings account. ​Think about the benefits of FD vs savings account and invest wisely to see that your surplus grows. Know the Benefits of Investing in Fixed Deposit for Senior Citizens? Low risk: Fixed deposits are considered as the safest investment. They provide a promised interest and return at the time of maturity. This investment is not fluctuating or risky as mutual funds and other investment options. High stability: Senior citizens get the best stability of the return and safety of the invested funds. Funds can be liquidated at the time of an emergency and enjoy a constant rise in the funds. Attractive returns: People invest in FD to get a secured periodic return. This means that FD for senior citizens mostly pays off 50 paise more than the normal interest rate of FD. Thus, it provides more return for senior citizens. Periodic interest payable: We all know that FD for senior citizens provides high-interest rates. Along with this, interest on the FD can be selected as a periodic payment or at the time of maturity. The investor can easily select this and open the FD online and offline. In addition, senior citizens enjoy the tax on the interest earned. With all these benefits associated with the senior citizen FD, it is the best investment option to get a decent return at a certain period. Bajaj Finance provide best senior citizen FD option and see investment growing over time at a fast pace. 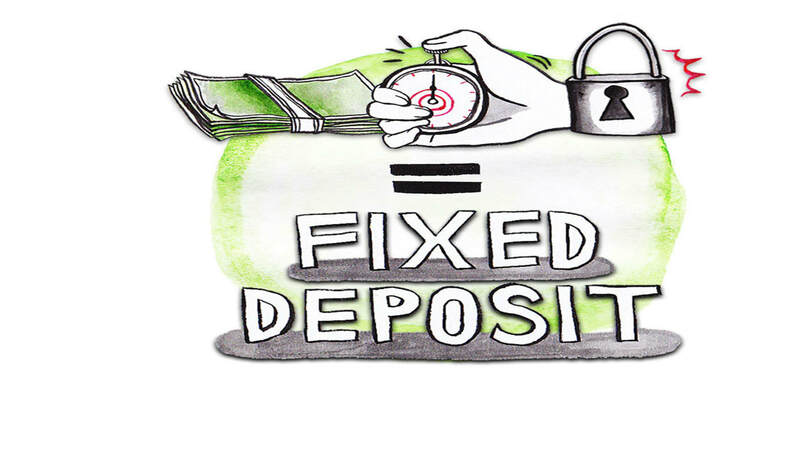 Fixed Deposit definitely provides a safe and high return on investment. There are various banks and non-bank financing corporations that provide the best FD options. All you need is to compare the interest rate, tenor, terms and conditions and feasibility to start the FD. These factors will help to find the right financial institute to invest with and enjoy the best return. Bajaj Finance is known for providing high-interest rate FD starting from Rs. 25,000. In order to have a fixed deposit, it is necessary to know the eligibility criteria. What are the eligibility criteria’ for FD? For more details on eligibility to invest in Bajaj Finance FD, it is best to visit the Bajaj Finance official website or contact a representative. Once the investor falls in any of the criteria, opening FD with Bajaj Finance is easy. This is the best way to club the earnings into a secured return investment. Before this, contact an expert to clear all the doubts and take their help to know about the eligibility, tenor, interest rates and terms and conditions of investment. How to Minimise Risks and Maximise Returns While Investing? Investments are crucial for financial growth which is beneficial in times of financial crisis. There are several types of investment options; each carrying its own pros and cons. Some investment avenues focus on fixed income whereas others are centered around capital growth. Some offer higher interest rates, but come with high risk (such as mutual funds); while others might be less risky but come with lesser interest rates. loss if the market fluctuation affects you. How to safeguard yourself from the investment risks? the market rates go down, your mutual funds might be at risk but your FD is safe investment. If the market rates go up, your FD might not benefit a single penny; but your mutual fund and stocks will. Thus, you have achieved a perfect balance by investing in avenues that are less risky and offer high returns at the same time. rate of interest but are extremely safe. Your money is subject to long-term growth of savings. In case of an emergency, you can easily withdraw your money. You can earn regularly with fixed deposit. One of the greatest advantages of fixed deposit is that it has flexible interest payouts. These points make FD an excellent investment choice. Several non-banking financial institutions like Bajaj Finserv offer many FD schemes that allow you to watch your surplus grow. It has high interest rates and flexible tenures which enable you to grow your capital and smartly. Moreover, you can start investing with just Rs.25000! Visit www.bajajfinserv.in to know more about the FD schemes and offers. The ROI from investment, in most cases, is subject to the condition of the stock market. For instance, interest gains from equities are subject to the stock market’s stability and hence, your investment in market-linked securities have high chances of depreciating as well. Therefore, there’s always a risk of losing money and thus, it’s always better to invest in safer schemes. The same goes without saying for people who lack the risk appetite and don’t have high returns expectations. If you agree to what’s said above, below are some of the safest, non-market linked securities you can proceed with. Company Fixed Deposit:​ Fixed Deposit, whether you talk about the company Fixed Deposit or bank FDs, is a good option for people who want assured returns. Talking about returns, you can procure as much as 9.10% per annum on your invested principal by investing in a good company FD scheme. Apart from that, you can also claim up to Rs 1.5 lakh from the invested principal as tax rebate under section 80C. Public Provident Fund (PPF): PPF (Public Provident Fund) is a Safest investment scheme for people with low risk appetite and high returns expectations. The scheme is backed up by the Indian government and can be availed from the nearest post-office. Real-estate: Last but not least, you can invest your money in real-estate and obtain a high ROI without any risk. Besides, you can also earn rental income from your house if it’s your second one. How To Evaluate Your Fixed Deposit Investment? Fixed deposit is considered a smart investment as it offers substantial return in the time frame chosen by the investor. Why the investment is a safe bet is because it is rated high on safety and stability with ICRA’s MAAA (stable) rating and CRISIL’s FAAA/ stable rating so your investments are never at risk. Besides, being free from market fluctuations makes them a popular choice among investors who do not wish to take any risk. Use the FD calculator: the best and accurate method to know the return on your investment is to use the FD calculator. This is a available as a free tool online or at the lender’s website. It requires simple inputs of amount, interest rate and tenure to give the result of the interest earned. Terms of deposit: the interest income depends on the amount of deposit, rate of interest at which it is fixed for, and the tenure of the deposit. Factors such as cumulative or non cumulative withdrawals are also taken into account when evaluating the maturity amount. Rate of interest: the maturity amount is calculated not only on the rate at which it was fixed for but also the top up rate the deposit might have earned. There is a direct relation between rate of interest and maturity amount. So, higher the interest higher will be the return on the deposit. To know more you can get in touch with your Relationship Manager to take informed decisions. Also, Read This: HOW TO CHECK THE MATURITY AMOUNT OF BAJAJ FINANCE FIXED DEPOSITS? Is EPF A Sound Retirement Corpus? Every employer generates a Universal Account Number of an UAN for its employees. This number does not change even if the employee switches jobs throughout their career. Each month, the employer deposits a portion of the employee’s salary towards EDLIS or Employee Deposit Linked Insurance Scheme, and a part towards the administrative charges. While, the remaining portion is contributed to the employee’s PF account. This process is entirely managed by EPFO. Employees, as per the government rule can break their Provident Fund (PF) savings at the time of maturity of the deposit or when they retire or at a premature duration for personal reasons. For government employees EPF is entirely exempted from tax. While, one can claim tax deduction up to Rs. 1 lakh. The current interest rate on EPF stands at 8.55% as provided by the government. So, coming back to the question is EPF enough as a retirement corpus. This is a subjective choice. But, I suggest investing some money in low-risk, tax-saving schemes as well. For instance, Fixed Deposit they also help to earn higher interest income and accumulate wealth to manage all kinds of financial obligations. Being free of market fluctuations they offer a secure investment tool and helps to diversify your portfolio. Also, Read Relate Article: ​HOW DOES A PROVIDENT FUND WORK? Having said that, with an increased rate of interest increases the risk of the principal amount and hence, gauging the credibility becomes inevitably essential. That said, a much more important question is, how to gauge the credibility of a lender or of a particular investment scheme? The answer is ICRA ratings. ICRA is an Indian independent and professional investment information and credit rating agency. Now, being an early entrant, ICRA is one of the most credible and trusted credit rating agency in India, and its prime responsibility is to analyze and evaluate the credit risks associated with the rated debt obligations/issues. Summing up, ICRA rates the short-term and long-term investment plans offered by various financial institutions in India. ICRA’s rating can give you an idea of how safe your money is posted investing in a particular scheme.